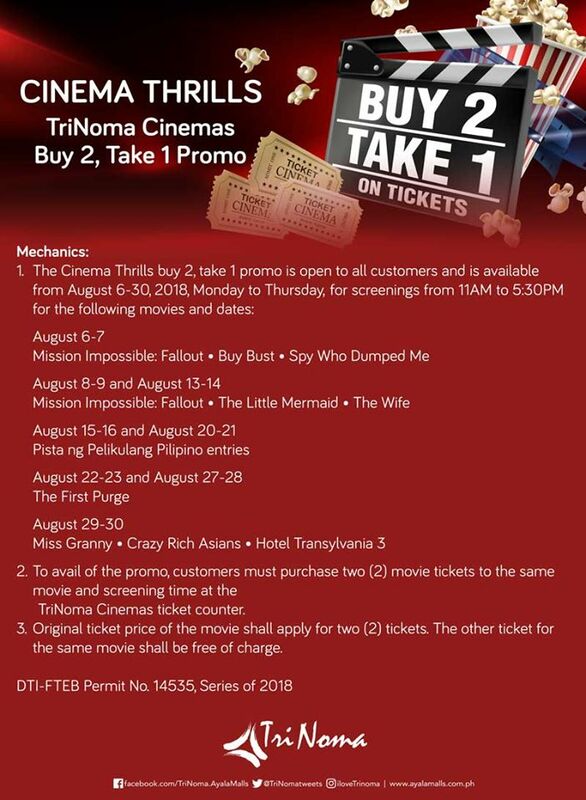 Three's never a crowd at Ayala TriNoma Cinemas! 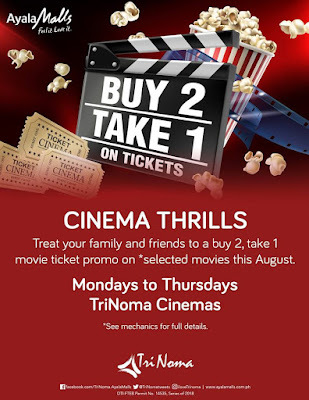 Treat yourself plus your family and friends with the TriNoma Cinemas Thrills Buy 2, Take 1 Movie Ticket Promo this August! 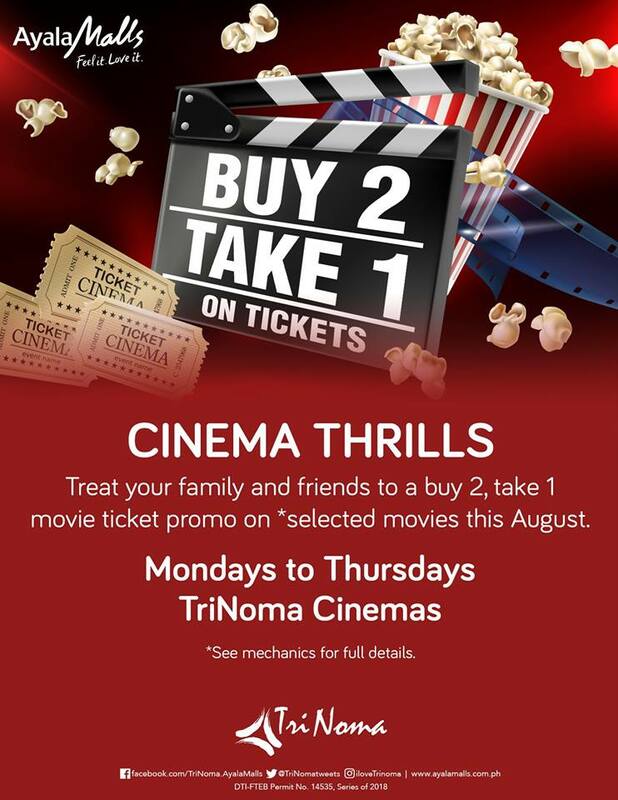 Available from Monday to Thursdays for selected movies with for screenings from 11AM to 5:30PM. 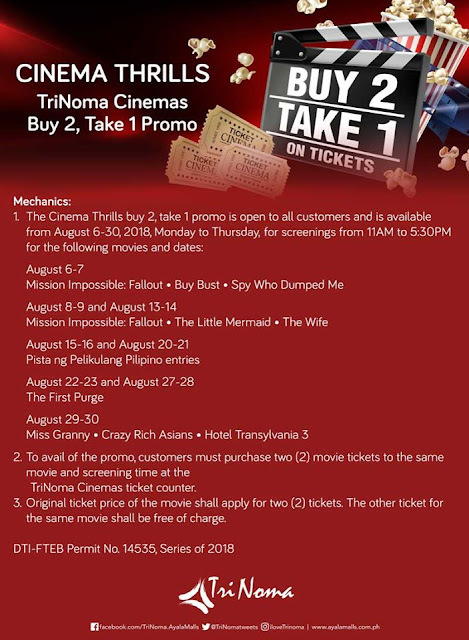 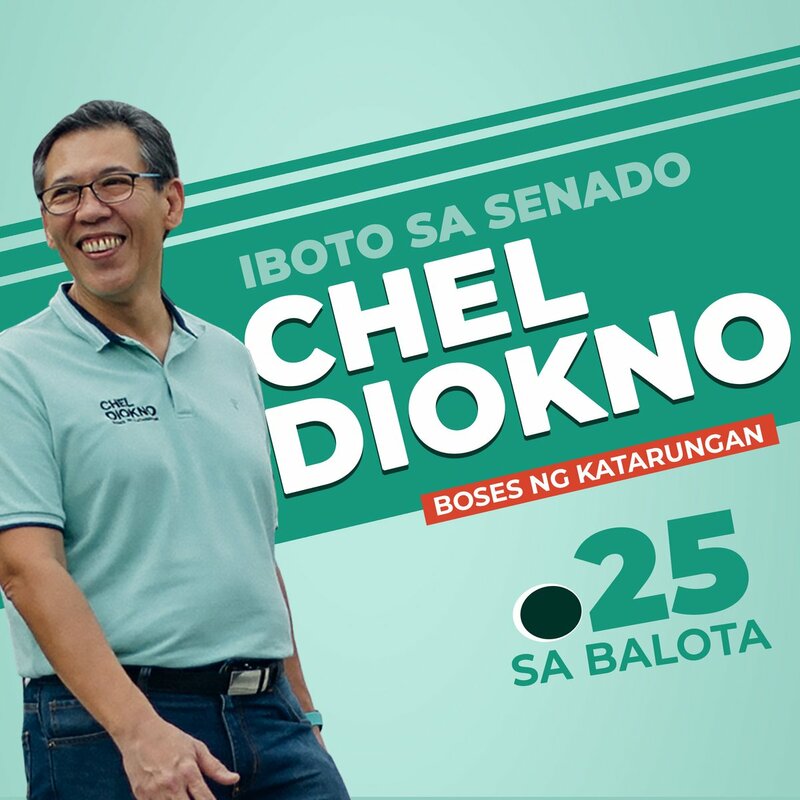 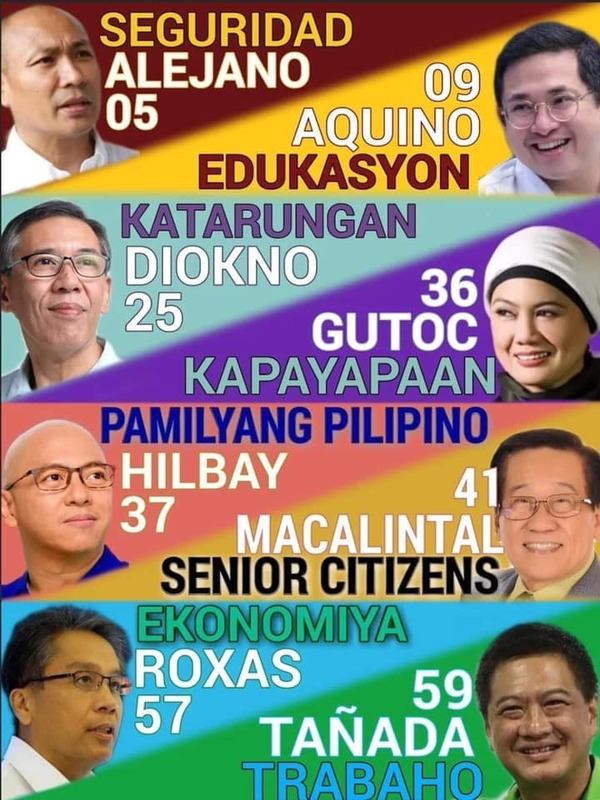 Promo runs until August 30, 2018.